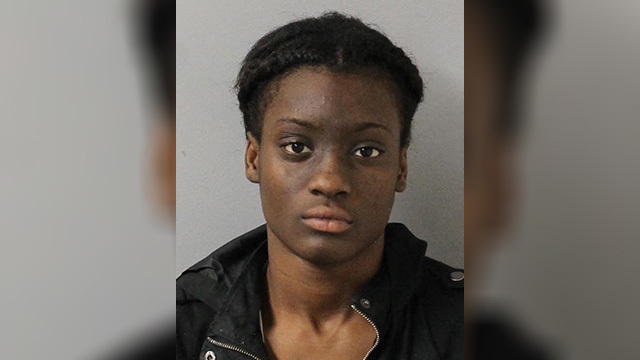 NASHVILLE, Tenn. (WKRN) - Six teens were arrested Monday night as Metro Juvenile Task Force officers recovered a stolen car and gun. According to police, a dispute between two groups of juveniles earlier in the day Monday led to a report of Ford Edge SUV traveling in front of a home on Claymille Boulevard with armed occupants inside. Officials say task force officers located the car quickly and tried to stop it. The driver sped away and the car was found a short time later parked at a gas station near the intersection of Moormans Arm Road and Whites Creek Pike. Police said the six teens; am 18-year-old, a 17-year-old, two 16-year-olds, and two 16-year-olds, were all detained. The 17-year-old was carrying the stolen gun. He was charged with vehicle theft, gun theft, and unlawful gun possession. All of the other teens were charged with vehicle theft. 18-year-old Marnesha Johnson was also charged with contributing to the delinquency of a minor.